Gamesys claim to be on a mission to be the world’s most entertaining online gaming company. They started out with the JackpotJoy platform, but since that time they have grown into an award-winning team of designers, developers and operators behind some of the leading gaming sites and apps including Virgin Games, Sun Bingo, and Caesar’s Casino. No sign up offer, see our bonuses page for a list of available new customer bonuses. Gamesys was actually introduced to the online gaming industry in 2001, and started with a small handful of developers, including founder, Noel Hayden. The company now employs over 900 people across seven different office locations worldwide, with their headquarters being based in Central London, England. The company was named the best in the Tech Track 100 League Table of the Sunday Times in 2006, and would then go on to win the Bingo Operator of the Year award from the eGaming review of 2007. 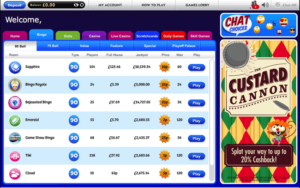 Not only that, but Gamesys has also launched a very popular Spanish Bingo platform called Botemania. Add this to the company’s flagship sites of JackpotJoy and Virgin Bingo, and the company continues to provide compelling and entertaining sites. In addition, through their expansion across the globe, Gamesys have created and worked with many additional companies, including Mice & Dice, to provide them with marketing execution and support services, Profitable Play, who are the licensed operator of JackpotJoy and StarSpins, and their own offices of Gamesys Malta, Gamesys U.S., Gamesys Gibraltar, and Gamesys Spain. While bingo may not have been the initial focus of Gamesys, instead giving way to casino and slot games, the growth and popularity of the product forced the company and its developers to rethink things a little. 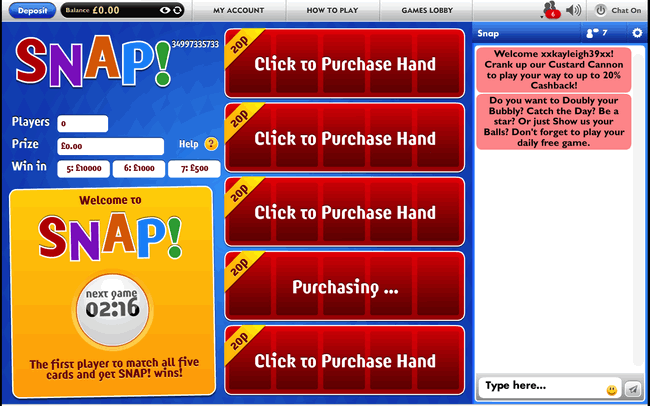 In 2008, the 90-ball version of bingo was added to the existing 75-ball bingo that had been available previously on the network, and as of today, Gamesys’ bingo games receive more popularity than their casino and slot products. Gamesys also offers up unique variations on the standard bingo games, incorporating features of various TV shows and popular culture into the products they’re offering, as well as relatively rare 80-ball bingo games on some of the company’s sites. Futhermore, in 2009, the company was awarded the EGR Innovation award, and they launched their first Social Games. Products by Gamesys have also been incorporated into Facebook, and 2012 marked them as the first company to do so. In addition to this, the company also offers a Learner Room, providing players who are new to bingo with the opportunity to hone their skills for free. This is only available to new members, and lasts for seven days to provide you with the basics of online bingo play. 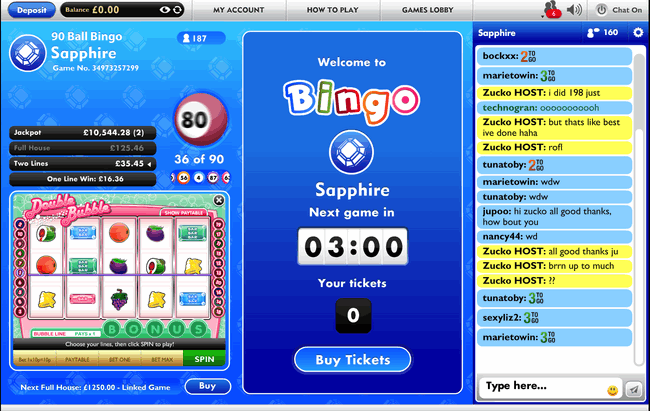 Other additions to the company’s bingo products include Speed Bingo, with fun blackout games taking place every 30 seconds, as well as Game Show Bingo, providing bonus games alongside the standard bingo participation. The year of 2009 would see a player of Gamesys bingo games win a £1.6 million jackpot. Since that time, the company has continued to craft games with progressive jackpots included in them, such as the aforementioned Speed Bingo. 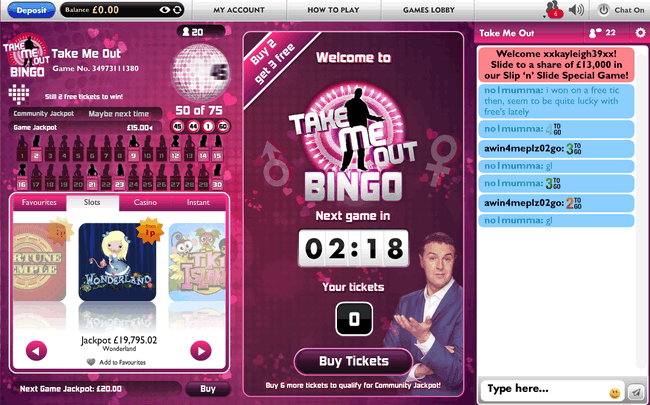 This game provides tickets that cost just £0.01, and incorporates a huge progressive jackpot. Furthermore, such games as Bejeweled Bingo features not only a standard jackpot of £2,500 to be won every day, but also a progressive jackpot that currently stands at over £48 million. In order to be the winner of this, players need to complete a full house in 38 calls or less. 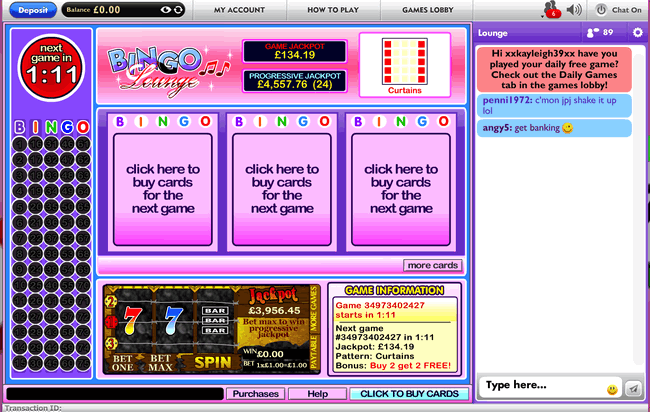 Gamesys provides both bingo software and a bingo network, with some operators choosing to take only the software without the network. However, one thing you can always be certain of with Gamesys products is that they’ll have a colourful interface, easy navigation and high quality graphics, providing strong visual appeal. Some additional benefits of using Gamesys software include the pre-buy facility, automatic claims and a strong selection of side games for players to take advantage of. And speaking of the side games, most of, if not all the casino products created by the company are available as miniature side games. So, players will have the chance of playing a game of Blackjack, or spinning a few slots, such as Gamesys’ Houdini or Tiki Totems, either while participating in a bingo game, or while in the lobby. In 2012, the company launched mobile cash games, providing not only their bingo games, but casino products to gamers on the move. As mentioned previously, the company launched the first online real cash gaming application on the Facebook platform, offering their products to fans of the social media website. The company also provides a wide selection of bonus offers via their network, with some giving their players such options as a 200% welcome bonus up to £200, and others incorporating infinite amounts of 50% up to £50 reload bonuses. Furthermore, the friend referral program that Gamesys sites offer provides both the referrer and the referred to the site with benefits. Other than this, there is also a VIP Club, with members of this being entitled to some special perks that regular members are accustomed to.